Calacatta Viola Marble, Bianco Carrara Marble and Magma Black Granite. 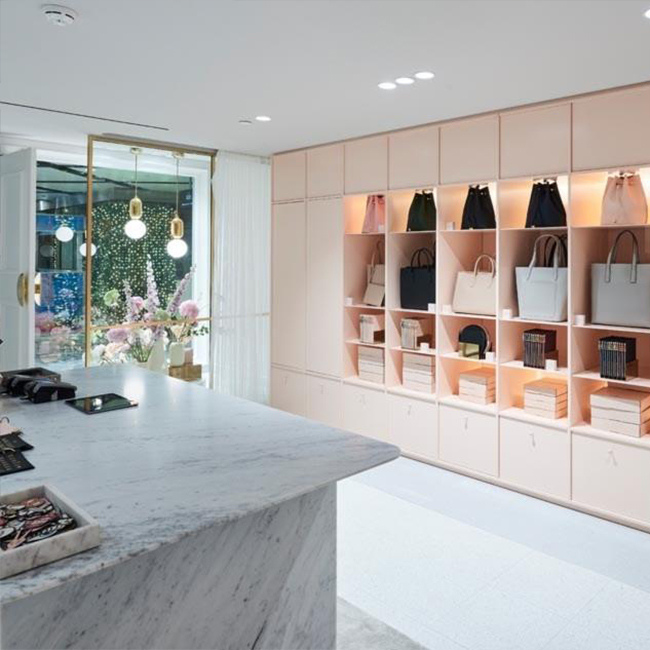 Known for their monogrammed phone cases, The Daily Edited recently opened their flagship store in Sydney’s Westfield Shopping Centre. As expected, the store is as stylish as their products. In a perfect representation of the brand, The TDE Apartment is literally a mock apartment showcasing TDE products in real life context. 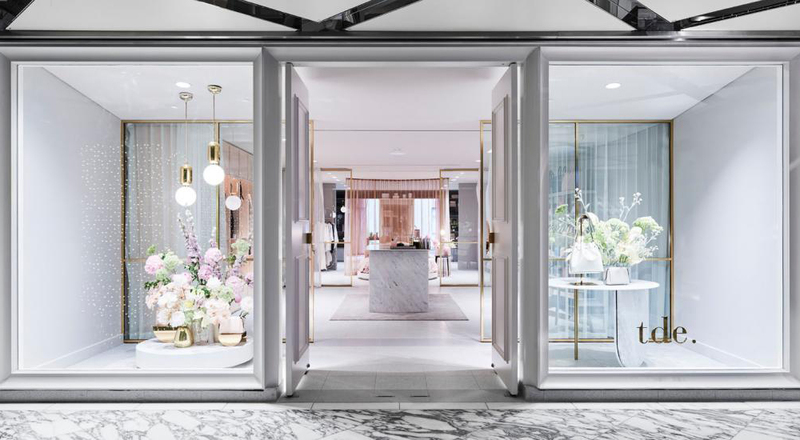 Designed by Pattern Studio, this retail space transforms the normal conventions of retail design into an apartment filled with lifestyle aspirations. 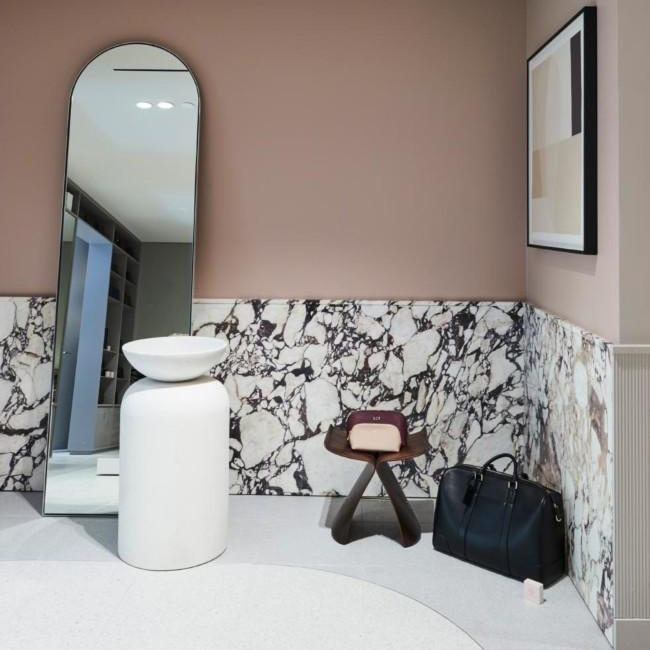 Reflecting the brand’s product palette, the store’s decor is enriched with millennial pink, soft greys, white and blacks – creating an aura that radiates chic. 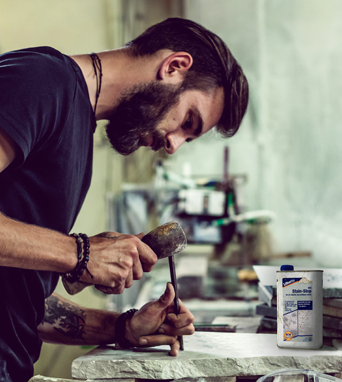 Featuring Calacatta Viola Marble, Bianco Carrara Marble and Magma Black Granite, Pattern Studio has hand-picked these Natural Stones to add depth, contrast and texture to this inspiring design. 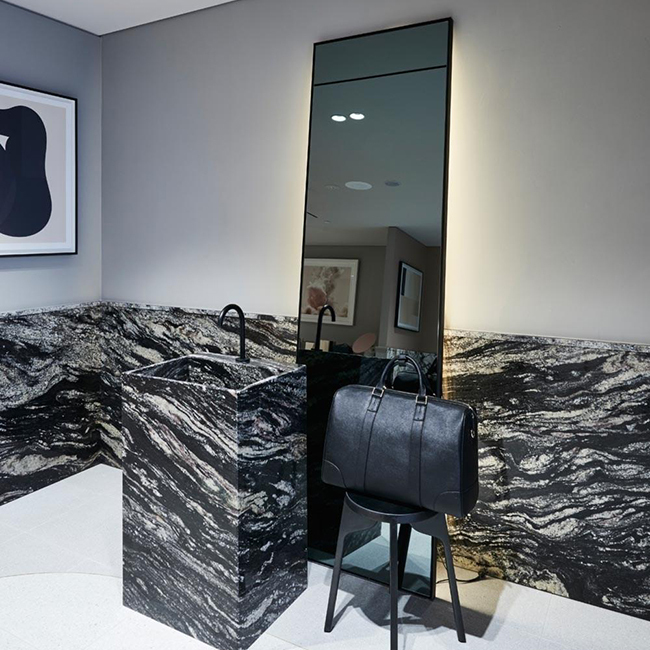 Encompassing this apartment’s bespoke atmosphere, these Natural Stone effortlessly harmonises this design from the mock bathroom to the simulated wardrobe. In true luxury pad fashion, the TDE store features breathtaking artworks from renowned Australian artists Ted O’Donnell, Vicki Lee and Caroline Walls. Alongside the art, this elegant store also features pieces from Space Furniture, Living Edge and Henry Wilson – truly making a statement. You’d be excused if you thought you were shopping on Madison Avenue or living the highlife on top of Park Avenue, but the TDE Apartment is a true testament to modern and luxurious interior design.